Without advertising, many of the services we enjoy would either no longer be free or they would cost a lot more. How would you feel about paying for every Google search you make? Or would you pay a monthly fee for Facebook? How about Twitter? How would you feel if your daily newspaper cost twice as much or if your satellite TV bill was similar to your mortgage? To most people, advertising is something they put up with and maybe sometimes complain about, but the alternative to advertising is often unpalatable. However much you complain about advertising, if it wasn’t there, you would pay more if that advertising wasn’t there. Most of the adverts we see nowadays are a good deal more advanced and agencies have budgets that could only be dreamed about before. Most modern adverts resemble mini blockbusters with an all-star cast, an expensive soundtrack and cinematography that wouldn’t look out of place in a blockbuster premier. With the advent of social media, advertisers are hunting for the holy grail – they want an advert to become viral. If they can make their story entertaining enough, armies of Facebook and twitter users will do all the hard work of making sure that the advert gets to a much wider audience and all at no additional cost to the advertiser. I have a lot of respect for a finely crafted advert. I love the Honda advert where all the car components roll, swing or fall into each other in a complex chain reaction in order to switch on a piece of music. Allegedly, they filmed it without any CGI and admittedly after numerous attempts, the final advert was one complete take. I also like the gorilla playing the drums for Cadbury’s Dairy Milk and the man sliding through the city on a helter-skelter to a Doobie Brothers soundtrack for Barclaycard. I hold a special kind of loathing for lazy or misleading adverts. Shot on a lower budget, they tend to go along the lines of “We’ve got some cheap stuff. Come and buy it.” They tend to be characterised by advertising weasel words. Typically, phrases like “up to x% off”, “everything must go”, “massive reductions” or “biggest ever sale”. Up to 50% off means that the price could have been reduced anywhere from 0 – 50% and guess which end of the scale most products will lie. I thought the whole point of retailing is to sell your stock so everything must go is more a statement of the seller’s fervent desire. I’ll be the judge of how massive your reductions are and when you say it’s your biggest sale ever, how exactly are you measuring that? By the vendor’s expectations? If I ever commissioned an advert, I would definitely strive for the viral audience by putting some effort into it. Your audience will appreciate the experience rather than endure it and you never know, they might tell a friend. 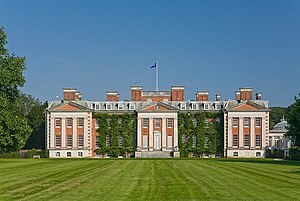 If you ever get a chance to visit IBM‘s Hursley Park campus, it’s well worth going. It’s a lovely mansion-house in beautiful surroundings just outside Winchester. There has been a lodge at Hursley since 1413 and the current house dates from 1724. The Heathcote family donated the house together with £5m (a figure equivalent to £116m today) to provide a hospital for US military personnel in WW1. In WW2, the house was used by Vickers to develop the Spitfire. IBM moved in during 1958 as a temporary measure and they are still there today. The System 360 and the Winchester hard drive were developed there and IBM were granted the Queen’s award for industry for storage & CICS. Today it houses 2800 IBM employees – roughly half of which are software developers making it the biggest software lab in Europe. Altogether IBM has 59,000 employees of which roughly half are based in the USA. They are heavily into the R part of R&D with research going on into particle physics and nanotechnology among other things. On the Hursley campus, they have an isolation lab which is a completely shielded building used to test the electromagnetic emissions of devices to ensure compliance with the plethora of regulations governing such things. They really needn’t have bothered. There is a perfectly good isolation zone on the South Coast of the UK just outside Highcliffe. A popular retirement spot, it’s a tiny village which must be the only place in the UK where the funeral parlours outnumber the charity shops. Nothing on any wavelength passes into or out of the place which renders mobile phones completely useless. A couple of times a year, myself and some friends spend a long weekend there and bearing in mind my attachment to social networks and blogging, I find myself isolated for the whole time. Initially, I find the experience anxious. I can’t check twitter, Facebook, yammer, wordpress or linked in. I can’t phone anyone (unless I search for some change and use the call box). I can’t look anything up on Google or check the news or how the FTSE is doing. I can’t even download the Times. After a while though, the anxiety ceases and I feel liberated. I get used to being away from email and social networks. I even start to like the idea that I am completely out of contact with anyone. Maybe we should go there more often! Of course, on return, the first thing I find myself doing is checking my email, blog, social networks etc. but it was nice while it lasted. To say that law enforcement agencies are struggling with how to cope with the direction that technology has taken in the last decade is an understatement. Back when life was simple and there was no social networking and most people were still using landlines, policing was much simpler. If you wanted to be libellous, you needed to print something in a newspaper or a book. If you wanted to organise a heist or a riot or some terrorist activity, you probably had to do it in person. Celebrities who are concerned about their reputations have been resorting to age-old legal machinery to protect their reputations which in the modern-day and age is just not up to the job. An injunction granted in a court of law in one country has little or no jurisdiction in another. So you may not be able to name the latest dubious liaison by a premiership footballer, but someone from another country can. It can then be retweeted by someone else and so it goes on until it’s trending and everyone knows. 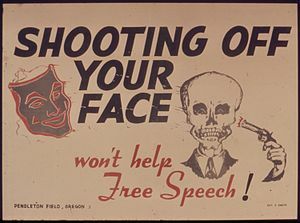 I happen to think that free speech is one of our most important rights, but people can say and put into bits and bytes some pretty vile rhetoric. The authorities walk a knife-edge between overreacting and contravening the sacred right of free speech and allowing such vitriol to go unpunished. The Crown Prosecution Service has recently decided against prosecuting a man for a homophobic tweet he made about divers Tom Daly and Pete Waterfield, but the fact that they considered prosecution shows how seriously they are taking it. Then there was the infamous case of Paul Chambers who faced a fine of just under £3000 and a criminal record for his joke tweet about blowing up Robin Hood airport in January 2010 following flight delays. I’m sure the sense of relief he felt when the court overturned the conviction on appeal was palpable but again – it shows the sense of gravity with which these actions are considered. There is a need for consistency. A man who recently posted a message on Facebook suggesting that all soldiers should die and go to hell after 6 British soldiers died in Afghanistan got off scott free. Another man who posted vile comments on his Facebook page about the missing girl, April Jones, was sentenced to 12 weeks in jail. Both comments were despicable, but why was one sent to jail and the other allowed to go free? The legislation being applied to social media was never designed for the purpose and it is time for a free and fair debate about what is and is not OK to say and print and for new purpose-built legislation to deal with today’s technology. I don’t envy the lawmakers their task though, what a minefield. One of the concepts I found challenging to grasp many moons ago during a course in business and finance was synergy. Maybe it was because I was only 16 at the time and the sum total of my possessions added up to one Casio calculator and a dog-eared biro but when he said that the whole was greater than the sum of its parts – I struggled to see what he meant. Of course I now understand that if you deliver two tons of metal, a few bits of rubber and some plastic to Massey Ferguson, you get a very different product compared to the same shipment arriving at Bentley with a commensurate difference in value. Almost every mobile phone is pretty much the same form factor and made of similar materials and yet we place very different value on different brands. The whole perfume industry relies on people forgetting the inconvenient fact that the product they are selling is nicely scented alcohol served up in a nobby bottle as they hand over a small fortune. Those who know me well will know that I enjoy playing games. Not the sort that appear on a computer screen because I spend far too much of my life staring at pixels as it is. I enjoy social games where the participants are vaguely humanoid. Some being more vague than others. The most satisfying games I play are also the most difficult to explain. Games which rely on the collective imaginations of the players concerned can result weaving amazing stories. The reason these games work is synergy once again. Social networks are built on synergy. Facebook made its début on the markets this week amid a flurry of law suits and accusations. If Facebook were a country, it would be the third biggest with only China and India boasting larger populations. Something like 1 in 5 couples meet through social media. Opinions vary as to how much time people spend on social networks, but whichever estimate you believe, it is a very large number. Each individual’s contribution to the network is not worth much, but taken together, the value of all the contributions is much higher. Whether that justifies Facebook’s valuation I don’t know but I certainly didn’t buy any shares. After one of those conversations one sunny lunchtime at the local watering hole where everyone walks away thinking they are going to change the world, we decided to get Yammer up and running. Yammer is a bit like Facebook for companies. My colleague installed it and sent me an invitation. When I signed up, I was asked to invite some other people. After 6 months or so, half the company was online after no promotion and no backing from the company. It’s fair to say that Yammer has revolutionised the way that we collaborate and communicate within the company. There is a massive proliferation of different social networks available. Where they overlap, usually a winner emerges and the others die off. Where they are complementary, they are linking together. Already, a post you make on WordPress or a fresh pin on Pinterest can automatically appear on Twitter & Facebook. One day, they will become seamless and it won’t matter which social network(s) you are signed up to. Then we will really see some synergy.